Our Certified staff lead exercises that promote intellectual and motor stimulation for our club members. 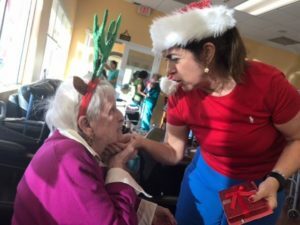 These activities are particularly beneficial for loved ones with conditions such as dementia or Alzheimer’s. 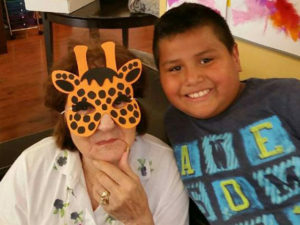 These activities are created monthly by our activities director who ensure long-term/ short-term/ spatial memory, and dexterity activities are among the many activities. 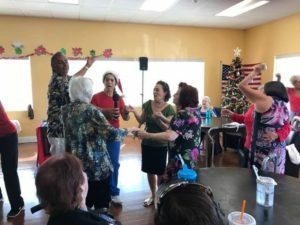 We make certain to live up to our name “The Senior Social Club” which portrays entertainment and interactive activities. Every day consists of a memory or dexterity activity, an arts and crafts hour, and an exercise physical therapy session. Along with these components, our club members participate in games, entertainment, and have access to our clubhouse equipped with a state of the art café and media room.